Take on the role of divine beings in this TinyD6 supplemental book. You’ll get access to a micro-game subsystem about creating settings, as well as new TinyD6 Archetypes for playing Demigods, and rules for powerful conviction points. Tiny Gods is is a fully playable game, from setting creation to inhabiting divine beings, but it benefits from being paired with a fully TinyD6 game, to incorporate the divine potential of this book into your existing campaign! Hi, I haven't finished reading it yet (but I'm eager to try it). However, I haven't seen any character sheet. Is there one? hello Alan, any chance to see a character sheet in the future ? 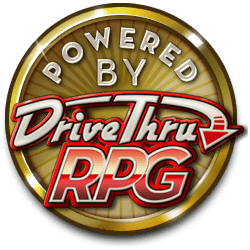 No reviews yet on rpg?